An inside look at the United States political process, The Ides Of March delves into the ruthless backroom machinations that define election campaigns. The film is almost incredible, and also likely too close to the truth for comfort. Governor of Pennsylvania Mike Morris (George Clooney) and Arkansas Senator Ted Pullman are locked in a tight race for the Democratic party presidential nomination. The next big milestone is the Ohio primary, and both campaign teams are going all out to win. Veteran Paul Zara (Philip Seymour Hoffman) runs Morris' campaign, assisted by the young, bright and idealistic Stephen Meyers (Ryan Gosling). Their opponent is Pullman's campaign manager Tom Duffy (Paul Giamatti). New York Time journalist Ida Horowicz (Marisa Tomei) is covering the nomination battle. Stephen genuinely believes that Morris is a positive change agent who is capable of great achievements. His attention is momentarily distracted by attractive campaign intern Molly Stearns (Evan Rachel Wood). They seduce each other and start a steamy affair. Meanwhile, Paul is working overtime to try and secure the critical endorsement of influential North Carolina Senator Franklin Thompson (Jeffrey Wright). Considered a king-maker, Thompson is negotiating with both campaigns, effectively selling his support to the candidate who offers him the most attractive White House position. All appears to be going well for Stephen, until he receives a phone call from Duffy, who wants Stephen to defect to the Pullman campaign. A rapid series of cascading events then throws the nomination race into turmoil, threatening to end Stephen's promising career. 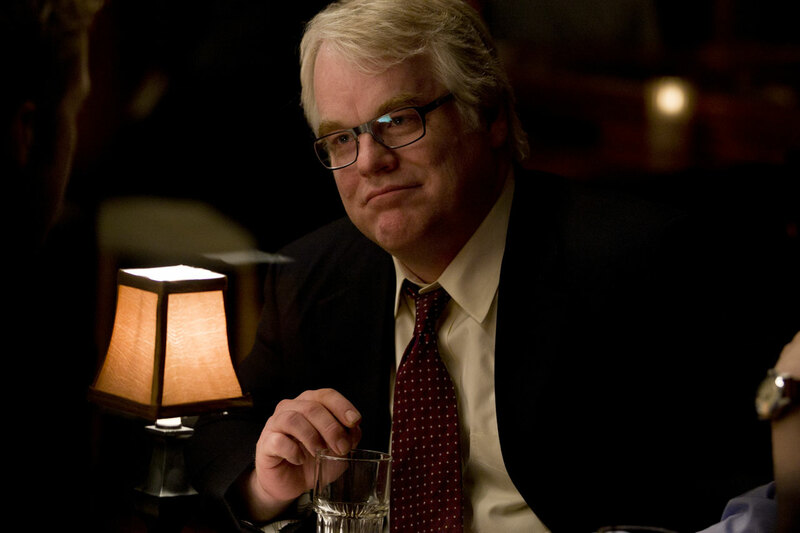 Directed and co-written by Clooney as an adaptation of the play Farragut North by Beau Willimon, The Ides Of March exposes a two-faced political system that presents a fake public profile while running on a cut-throat culture of deceit, back-stabbing and betrayal. That politics is a blood sport is not new; that the participants engage with a deadpan matter-of-factness while twisting the knife is never less than disturbing. The events portrayed are only loosely based on fact, but while too much drama is packed into a few days of campaigning, the individual misdoings all ring true as actual headlines from real political wars. Clooney moves the talk-fest along swiftly, allowing each event to shine brightly but ever so briefly in the glare of the 24/7 news cycle: there is always the next outrage waiting to feed tomorrow's talking heads. Appropriately, the candidates are the articulate faces of their respective campaigns, but very much secondary characters in the overall context. The strategy, policy, negotiations and message control are the domain of men like Paul, Stephen and Tom. They are the backroom operatives who prefer to stay in the dark, spinning stories to reporters but manipulating events from behind the curtain. The film is a compelling chronicle of a battle of wills, and Clooney constructs it with zest, focusing on soul-destroying compromises driven by the rampant ambition to win at all costs. 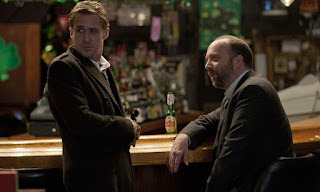 A dream cast contributes greatly to the film's appeal, with Philip Seymour Hoffman and Paul Giamatti biting into their roles with glee, allowing Ryan Gosling to adopt the more cerebral and circumspect approach. Stephen is at the centre of the film, and Gosling treats the role as a story of awakening. Stephen transforms from idealistic bright young assistant campaign manager to a veteran of the political wars, a journey that will require him to taste bitter disappointment and discover just how far he will personally go to safeguard his dreams. Evan Rachel Wood radiates an outer innocence and inner self-indulgence, always hinting that Molly wants to play in a league that may just be too tough for her. Marisa Tomei suffers somewhat from a vaguely underwritten role as the clinical reporter Ida. Of course by the time Stephen emerges at the other end of the Ohio primary, his idealistic dream is a nightmare of corruption, his path to success littered with victims. But in the high stakes world of politics, the prize comes with the reward of enormous power, justifying all necessary means.